Buddhism—some Buddhism, anyway—is a practice of contemplation and inquiry that doesn't depend on belief in God or a soul or anything supernatural. Therefore, the theory goes, it can't be a religion. Sam Harris expressed this view of Buddhism in his essay "Killing the Buddha" (Shambhala Sun, March 2006). Harris admires Buddhism, calling it "the richest source of contemplative wisdom that any civilization has produced." 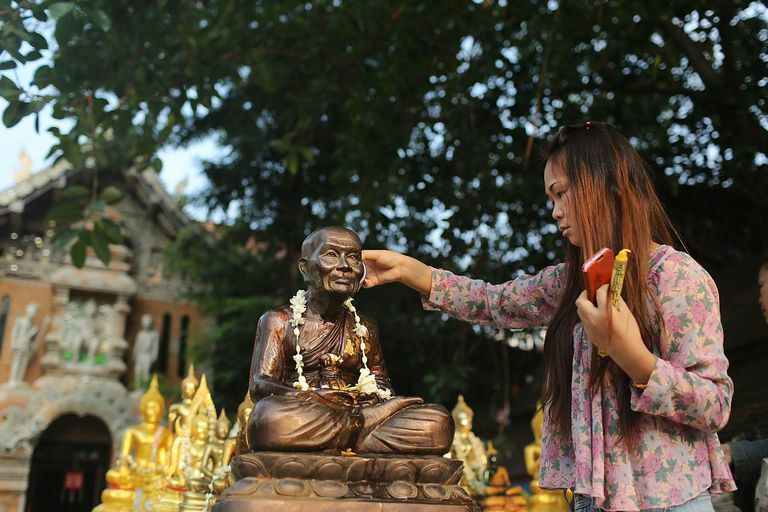 But he thinks it would be even better if it could be pried away from Buddhists. "The wisdom of the Buddha is currently trapped within the religion of Buddhism," Harris laments. "Worse still, the continued identification of Buddhists with Buddhism lends tacit support to the religious differences in our world. ... Given the degree to which religion still inspires human conflict, and impedes genuine inquiry, I believe that merely being a self-described 'Buddhist' is to be complicit in the world's violence and ignorance to an unacceptable degree." The phrase "Killing the Buddha" comes from a Zen saying, "If you meet the Buddha on the road, kill him." Harris interprets this as a warning against turning the Buddha into a "religious fetish" and thereby missing the essence of his teachings. But this is Harris's interpretation of the phrase. In Zen, "killing the Buddha" means to extinguish ideas and concepts about the Buddha in order to realize the True Buddha. Harris is not killing the Buddha; he is merely replacing a religious idea of the Buddha with a non-religious one more to his liking. In many ways, the "religion versus philosophy" argument is an artificial one. The neat separation between religion and philosophy we insist on today didn't exist in western civilization until the 18th century or so, and there never was such a separation in eastern civilization. To insist that Buddhism must be one thing and not the other amounts to forcing an ancient product into modern packaging. In Buddhism, this sort of conceptual packaging is considered to be a barrier to enlightenment. Without realizing it we use prefabricated concepts about ourselves and the world around us to organize and interpret what we learn and experience. One of the functions of Buddhist practice is to sweep away all the artificial filing cabinets in our heads so that we see the world as-it-is. The Buddhism-as-philosophy argument leans heavily on the fact that Buddhism is less dogmatic than most other religions. This argument, however, ignores mysticism. Mysticism is hard to define, but very basically it is the direct and intimate experience of ultimate reality, or the Absolute, or God. The Stanford Encyclopedia of Philosophy has a more detailed explanation of mysticism. Buddhism is deeply mystical, and mysticism belongs to religion more than philosophy. Through meditation, Siddhartha Gautama intimately experienced Thusness beyond subject and object, self and other, life and death. The enlightenment experience is the sine qua non of Buddhism. What is religion? Those who argue that Buddhism is not a religion tend to define religion as a belief system, which is a western notion. Religious historian Karen Armstrong defines religion as a search for transcendence, going beyond the self. It's said that the only way to understand Buddhism is to practice it. Through practice, one perceives its transformative power. A Buddhism that remains in the realm of concepts and ideas is not Buddhism. The robes, ritual and other trappings of religion are not a corruption of Buddhism, as some imagine, but expressions of it. There's a Zen story in which a professor visited a Japanese master to inquire about Zen. The master served tea. When the visitor's cup was full, the master kept pouring. Tea spilled out of the cup and over the table. If you want to understand Buddhism, empty your cup.